Children with ADHD are individuals with important relationships to parents, school, friends and community. All of these areas must be evaluated and, where necessary, modified to give children with ADHD the best chance of success. Parenting is dramatically important for children with ADHD. Although less than optimal parenting does not cause ADHD, it can have significant negative consequences on a child’s development, self-esteem and eventual success. Children with ADHD can be very difficult to parent, especially those who are hyperactive and oppositional, which is very common. Very often parents become frustrated and angry at the difficulty of raising these children. The parenting techniques they have seen other parents use successfully or may even have been effective with their other children are completely unsuccessful with ADHD children. They then may become engaged in a repetitive cycle of anger and criticism on the one hand, combined with allowing unacceptable behavior on the other hand. Parents and their children need help with learning to regulate (and teach their children to regulate) their behavior. This is where mental health practitioners can be very valuable. Although ADHD children have not been shown to respond to conventional therapy, parent training of various kinds has been shown to be effective. There are a number of different behavioral and parenting techniques available. The important thing is to give parents a system they can use and a way to get help. The difference in a child’s self-esteem and ability to succeed can be dramatic. One particular parenting method I have had great success with is called the Nurtured Heart Approach. Likewise, school placement is extremely important. As discussed, an ADHD child can have severe difficulties in one grade followed by a great year the next — the sole difference being the fit between the teacher and child. Proper school placement is extremely important. All children who have ADHD are eligible for what is called a 504 plan, which allows them to have reasonable accommodations within the classroom. This can involve extra time for tests, decreased volume of homework, sitting at the front of the room and other simple modifications that can make a really significant difference for certain children. Outside of school, it is important to encourage success in other areas. Children with ADHD should be allowed to spend time at things they like and do well, whether it is sports, art, martial arts, music, spending time in nature or just playing with friends. It is not helpful to decrease these activities in order to spend even more time on school. It is discouraging to children and bad for their self-esteem. Remember that school is hard for ADHD children, and it can be discouraging for anybody to spend all day doing things that are difficult. A healthy diet is absolutely foundational. Sugar, artificial colors and flavors and preservatives and highly processed carbohydrates should be kept to a minimum. Each meal, especially breakfast and lunch, should have healthy protein and minimally processed carbohydrates. Healthy fats are especially important. Avoid all trans fats, and keep saturated fats at reasonable levels. Adequate amounts of fruits and vegetables are needed to maintain antioxidant status. Many parents ask how they can get their children to change their diets and eat healthier foods. The answer is that you can’t make children eat what they do not want to eat, but you can stop offering what you do not want them to eat. Eventually they will make a choice out of the healthy foods that you offer. A final word: You do not need to be dogmatic. Everyone should be able to have an occasional treat. Unless there is a food sensitivity, it is what the child eats on a regular basis that makes a difference. Exercise is particularly important for ADHD children. I have worked with many, many families who find that getting their child an hour or two of exercise makes a dramatic difference in their level of functioning. This has been confirmed by multiple research studies. In one of these studies, children with ADHD were given a high-intensity exercise program three days a week for 45 minutes. They showed significant improvements in their ADHD symptoms compared to a control group. The type of exercise an ADHD child will enjoy is very individual. 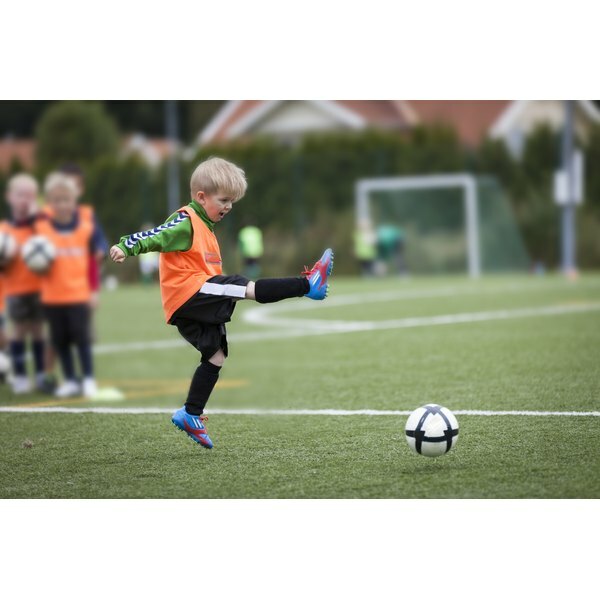 Although some ADHD children love and succeed at team sports like soccer or basketball, many do not like the complex rules and periods of inactivity required. These children may do a lot better with an individual sport like tennis, gymnastics, dance or swimming. Martial arts, with its emphasis on concentration and discipline, can be extremely helpful and satisfying for some ADHD children. Some may just love riding their bicycle outside. Being in nature can also be very helpful for children with ADHD. For some it is immensely soothing. I always remember that one of the most hyperactive and difficult children I knew would sit quietly in a boat for hours fishing with his grandfather. Lack of exposure to nature may be one more reason for the dramatic rise in the incidence of ADHD. Sleep is another area of great importance. Many children, especially as they get older, do not get the sleep they need. This can result in children not performing at their best the next day. One particular problem to watch out for is sleep apnea, usually associated with snoring in children. Sleep apnea results in abnormal sleep cycles and lack of adequate deep sleep. Children who have significant snoring and ADHD should be evaluated for sleep apnea and treated as necessary. Video and screen time is another very important issue. Many children are spending inordinate amounts of time staring at a screen. Including homework, some are using electronics during most of their non-school waking hours. There is definite evidence correlating increased screen time with worsening ADHD. Some children become seriously obsessed with online or individual video gaming. This is an issue every parent must deal with individually because it is becoming increasingly unrealistic to ban screen time altogether, but parents need to make a decision about reasonable limits and stick to it. There are a number of what may be termed “mind-body” techniques that can help focus the ADHD child. Preliminary studies indicate that yoga and meditation may be helpful. There is a particular type of meditation/stress-reduction technique called mindfulness-based stress reduction, which has shown particular promise in several studies. It has the advantage of not being tied to any particular religion or spiritual path. Finally, a particular type of biofeedback called “neurofeedback” teaches children to change abnormal brain wave patterns. How Does a Lack of Parenting at Home Affect Children's Grades in School?